High Temp | Safety Mat Systems | Pinnacle Systems Inc.
Pinnacle Systems has released a high-temp non-skid safety mat for use in harsh environments such as robotic welding and hot forging applications. The mats can have irregular cuts, contours, notches or wiring locations to accommodate specific welding cell layouts. 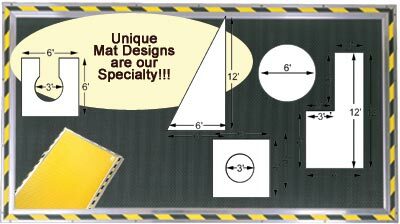 The maximum size of one mat is 72” wide x 144” long and can be made into any configuration. We also have a full line of controllers for machine interface and diagnostics. 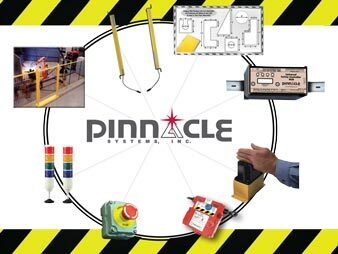 Please contact us at mats@pinnaclesystems.com for additional information regarding our High Temp Safety Mat Systems.